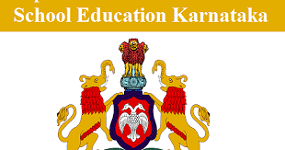 Karnataka School Education Notification 2019.Karnataka School Education has released a notification for the recruitment of Graduate Primary Teachers vacancies.Check the eligiblity and notification prior to apply for the positions. Candidates must have Graduation or equivalent examination with concerned subject as Optional Subject from a University or institutions with good academic record and Degree or Diploma in Education recognized by National Council for Teacher Education for Karnataka Graduate Primary Teachers Recruitment. Candidates age limit should to be possess minimum age 21 years & maximum age 40 years. Selected candidates for Karnataka High School Teacher Recruitment 2019, will get pay scale of 14550 – 26700/- per month. Form the home page hit the “Notifications for Recruitment of Graduate Primary Teachers for 6-8 Classes – 2019” link given in eth section of “Recent information”. Now hit the suitable link from the new page regarding Karnataka Graduate Primary Teacher Recruitment 2019. After that, press the notification tab and various centres will be opened on next page, choose any one apt link. Now details of the Graduate Primary Teacher job vacancy will be displayed in the form of Notification. Then search the apt online link, and fill up Karnataka Graduate Primary Teacher Online Application Form, with all required details. Thereafter, upload all the documents recent passport sixe photographs as asked in the notification. At last, press the “submit” tab to records all detail and take out the printed copy of Karnataka Graduate Primary Teacher Recruitment 2019 application form for future use.